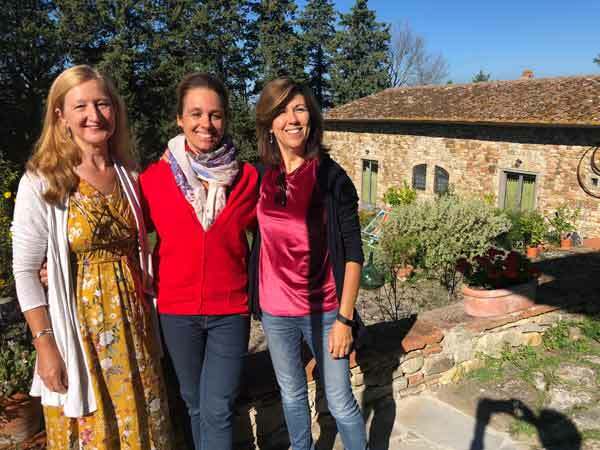 Workshops in France is in Italy! 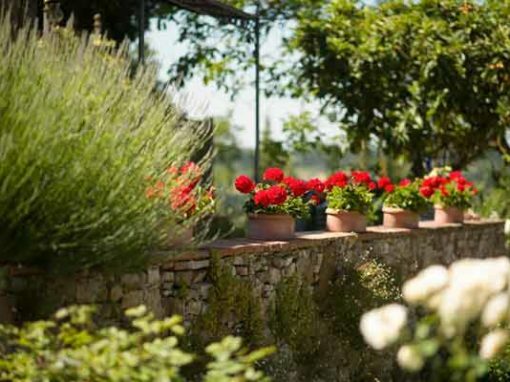 As summer relinquishes its heat and cool air descends upon the evening, artists gather around a long wooden table to dine al fresco in the garden and discuss the pleasures of painting that day under a Tuscan sky. 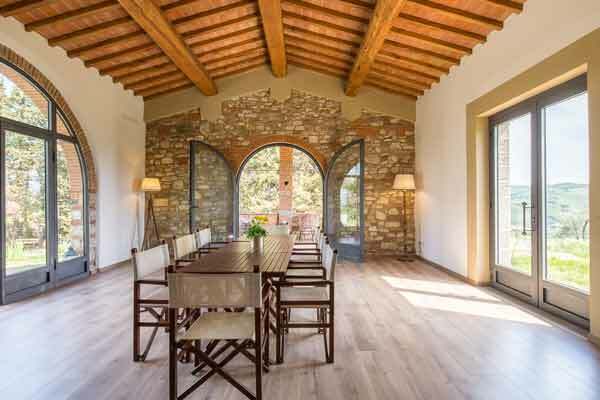 October is a perfect time to visit Italy, to stay in a hilltop estate surrounded by vineyards and 360-degree views of Tuscany. The food is literally farm to table, prepared in the estate’s kitchen. We carefully selected the estate because of the stunning location, the way the land is tended and because we adore the charming owners who insist that we taste everything, enjoy everything and relax and create. Your day-to-day needs are handled so your complete attention can be given to your art while being inspired by the remarkable surroundings. 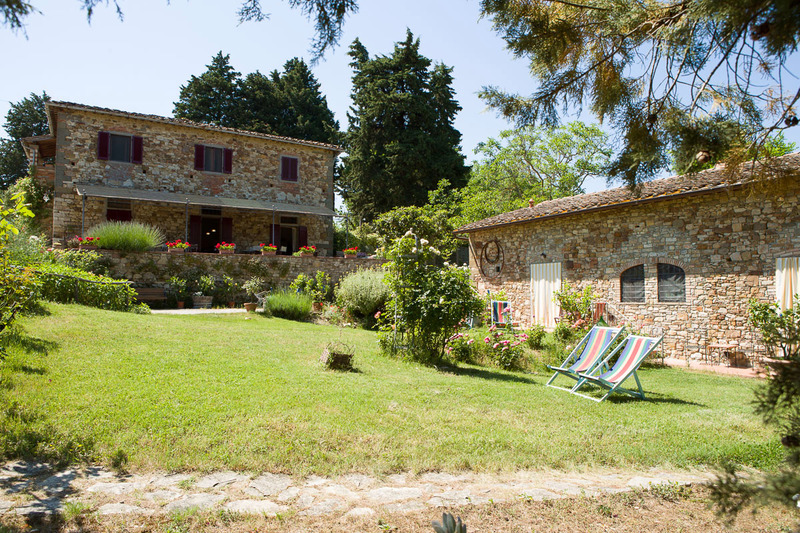 This retreat is perfectly located between Florence and Siena. 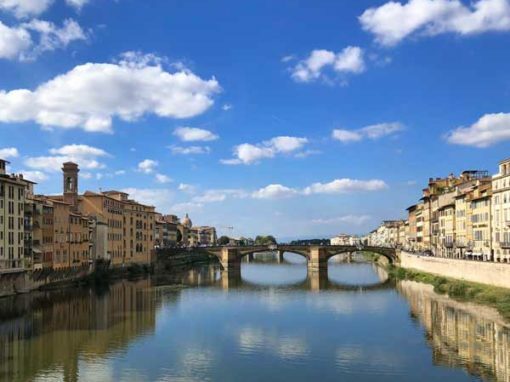 Within an hour, we can be in the Renaissance capital, Florence, where we will find all the art you could dream about. We can explore the streets of Siena or gaze straight up at one of the towers in St Gimignano. 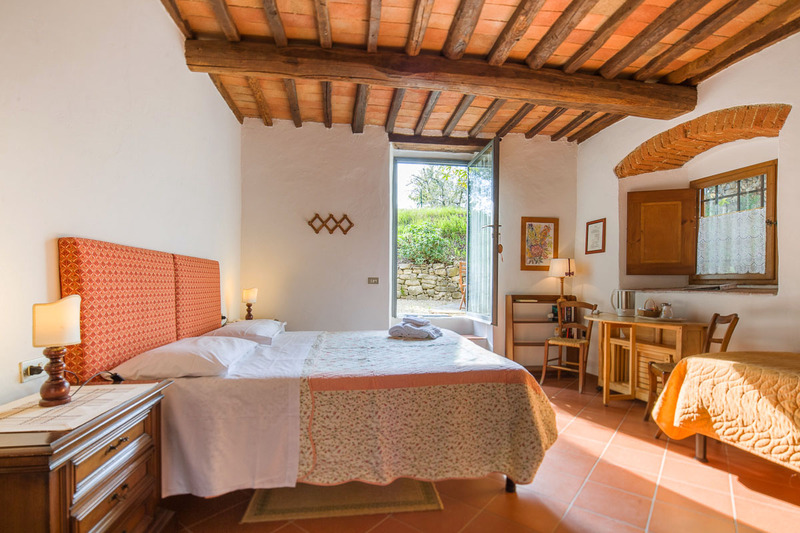 This retreat is an artist’s paradise with fabulous gardens, great views and a studio. Dinners, transportation and accommodations are included. 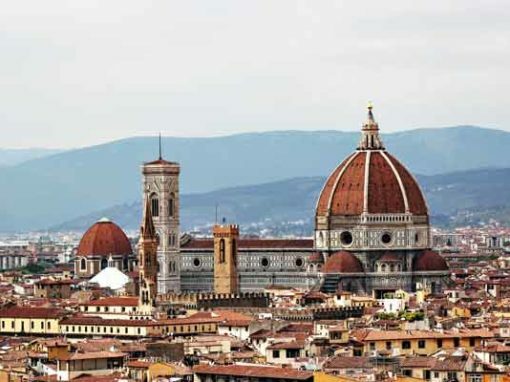 You will visit Florence and see the art of the Uffizi and of Michaelangelo, Botticelli, Da Vinci and Raphael. 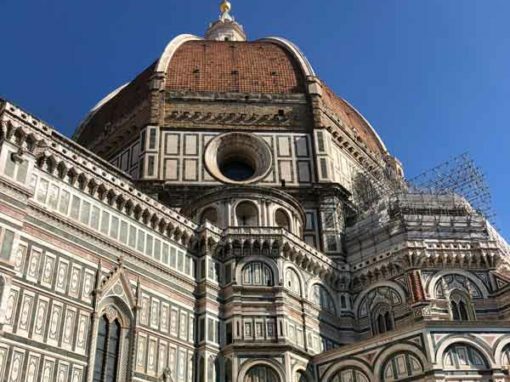 There will be the opportunity to go inside the Duomo and climb Giotto’s tower to gaze over the rooftops just as Da Vinci did. 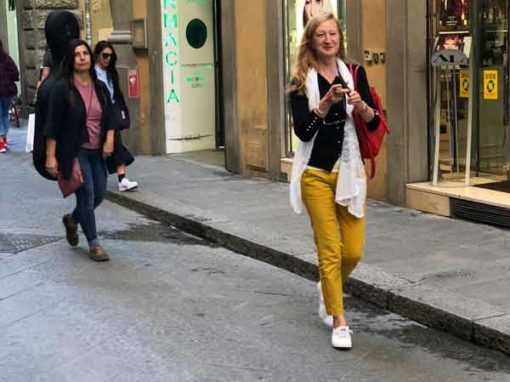 Other destinations include St Gimignano and Siena. 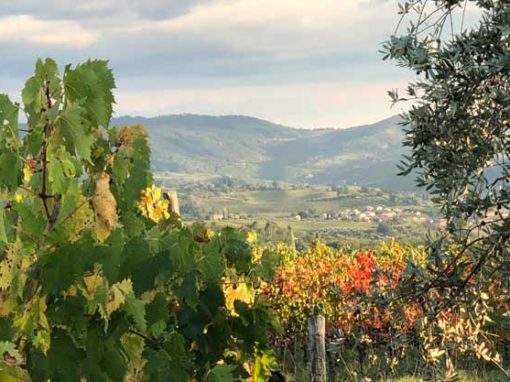 But of course, you will be painting on the estate where views of the surrounding vineyards are both close and in the distance and are dotted with castles and villas. There will be no lack of opportunity of wonderful things to see and paint. 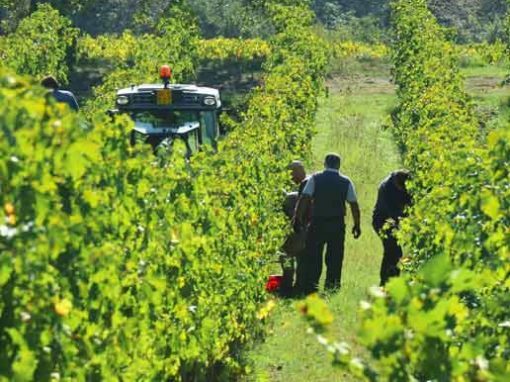 October in the region is the season to harvest grapes. We will explore private vineyards, with special permission to paint there. Our wines come right from the estate; we are surrounded by vineyards. Every day has a unique destination to sketch and paint – while also taking time to stop, explore and meet the locals. Your itinerary includes visits to local markets, vineyards and breathtaking hilltop villages. All locations have access to our vehicles, materials and cafes. Bring your camera, because you will be truly inspired by the surroundings and want to snap references to paint later. After dining at we take up various painting related topics for discussion and demos. 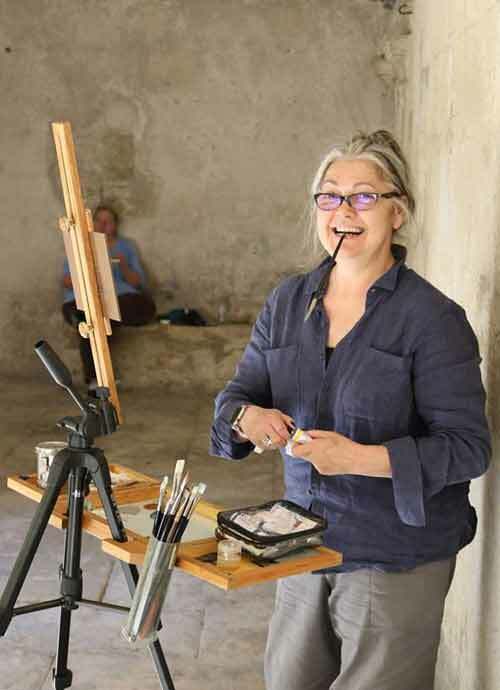 Although the workshop is not instructed – painting side-by-side with fellow artists provides growth, new skills and new friendships. 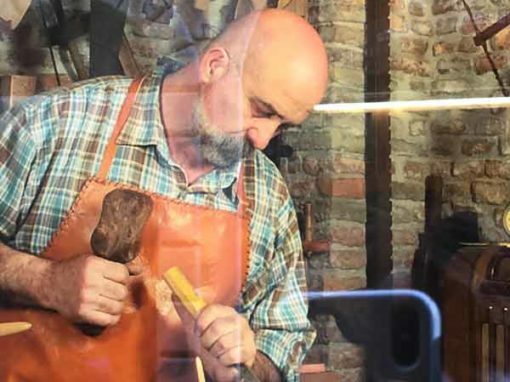 Wonderful guests from across the world have joined our workshops including painters, photographers, writers and sculptors. Price is based on double occupancy. Airfare not included. Discounts available for friends traveling together, spouses/partners (painting and non-painting). A $500 deposit is required to hold your space. 10 days of artistic immersion. All Inclusive: Fine food, wine, accommodation and ground transportation with four lunches and two dinners at your own expense. 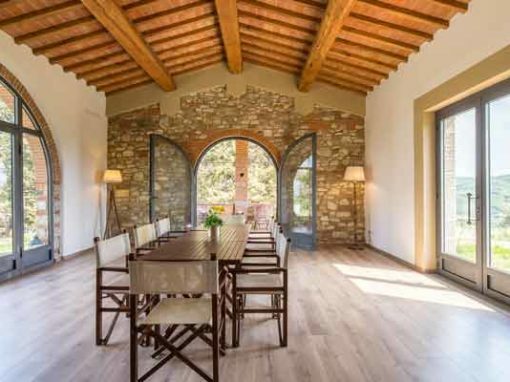 Daily painting locations: Private vineyards with wine tasting, charming villages, markets and Tuscan vineyard views. 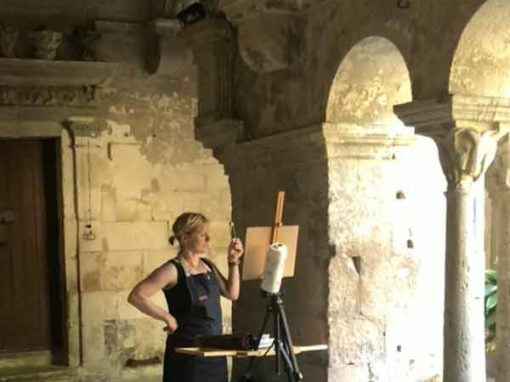 Balanced itinerary of painting, exploring and relaxation for artists of all media – all skill levels! 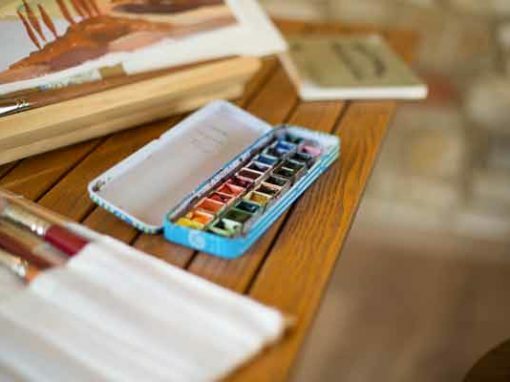 Learn, live and paint side-by-side with artists.